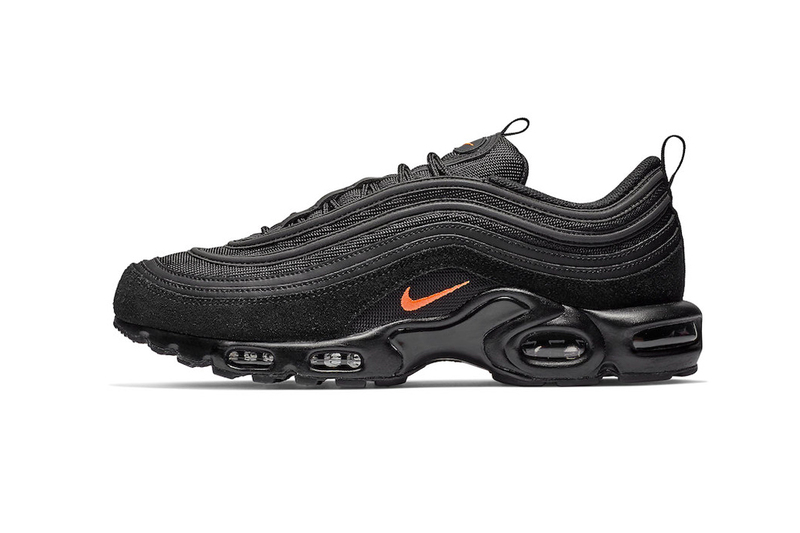 Continuing to build its line up of hybrid sneakers, Nike is gearing up to release a “Black/Orange” colorway of the Air Max Plus 97. Perfect for Halloween, the new look features an all-black upper constructed of a mesh base dressed with matching suede and leather overlays. Bright orange accenting details come in the form of Swoosh branding at the tongue and midfoot. Rounding up the design of the shoes are printed insoles and an Air Max Plus sole unit done to match the sleek look of the upper. For more Nike news, take a first look at the Nike Air VaporMax Flyknit 3.0.